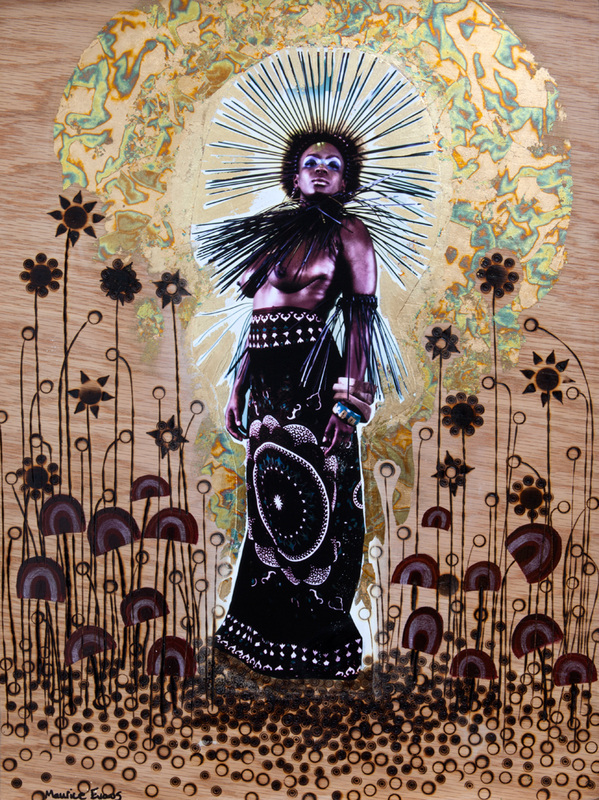 Warrior Queen, 42”x48”, Acrylic /wax medium/original photography on Wood, 2012, $5500. Silver War, 22x30, Acrylic, pyrography, silver leaf, original photography, 2012, $3500. 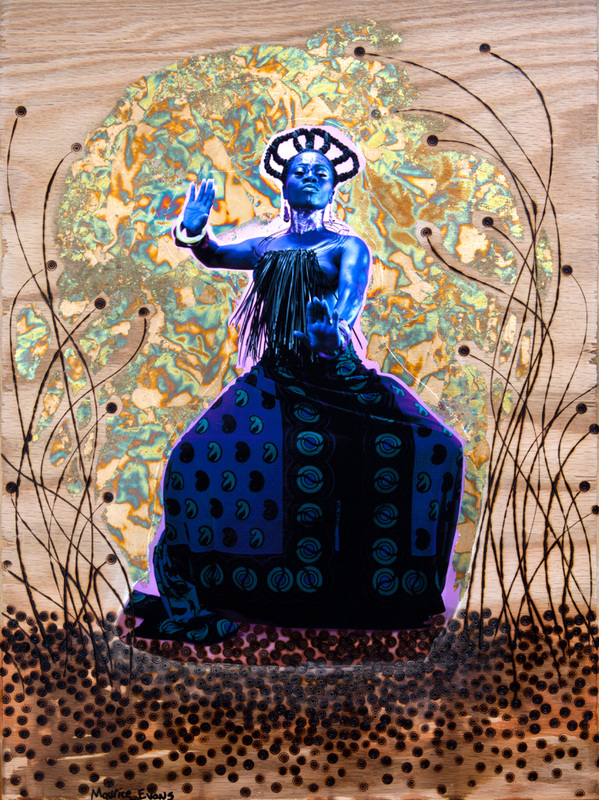 Storm (in the Mist of), 18x24, Acrylic, pyrography, silver leaf, original photography, 2012, $2500. Maurice Evans’ creative focus was ﬁrst realized through the lens of music. Born in Smyrna, TN, his father was a military man but also a gifted drummer and singer in a gospel choir. He introduced Maurice to guitar lessons at the age of 4, and these lessons along with his exposure to the music of Al Green, Chaka Khan and Marvin Gaye, inspired his early, creative growth. As his family settled in Georgia, Maurice began to draw more upon his artistic instincts in high school due to his parent’s divorce and the stunting of his musical outlet by not being selected to join the school band. His mother, a teacher, supported and reinforced his creative ability by allowing him to help design her classroom bulletin boards each year. By the time Maurice graduated, he not only gained recognition as a talented artist at Griffin High School, but also the conﬁdence to pursue his passion. In 1986, he was accepted to the Art Institute of Atlanta where he studied Fashion Illustration to intentionally advance his painting and drawing skills. After college, Maurice pursued a number of odd jobs working for small and large design ﬁrms, but ultimately could not achieve the artistic freedom he yearned for as an independent artist. 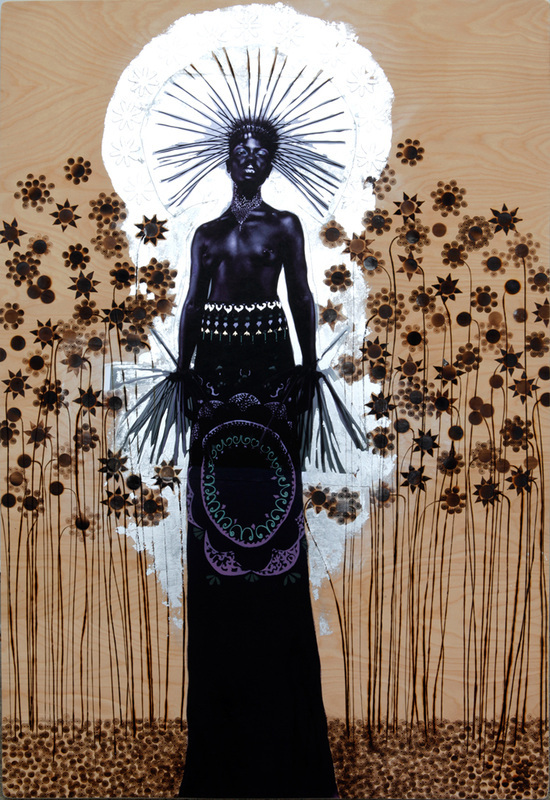 In 1994, with the support of his family and friends, he had his ﬁrst successful exhibition at the juried Black Arts Festival in Atlanta. From there, he soon bought at booth at the New York Art Expo where he was introduced to new clients and collectors. 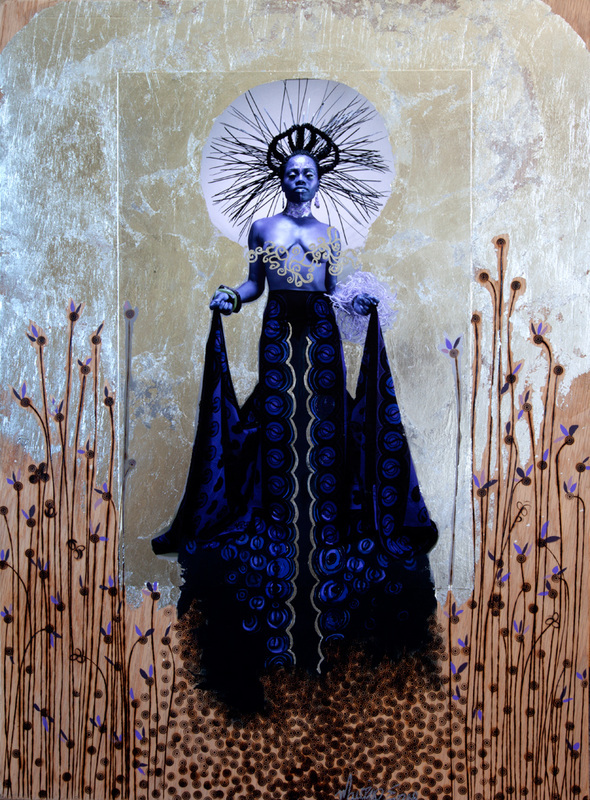 As his independent career launched, his work was exhibited in numerous galleries and venues where he received national and international acclaim. 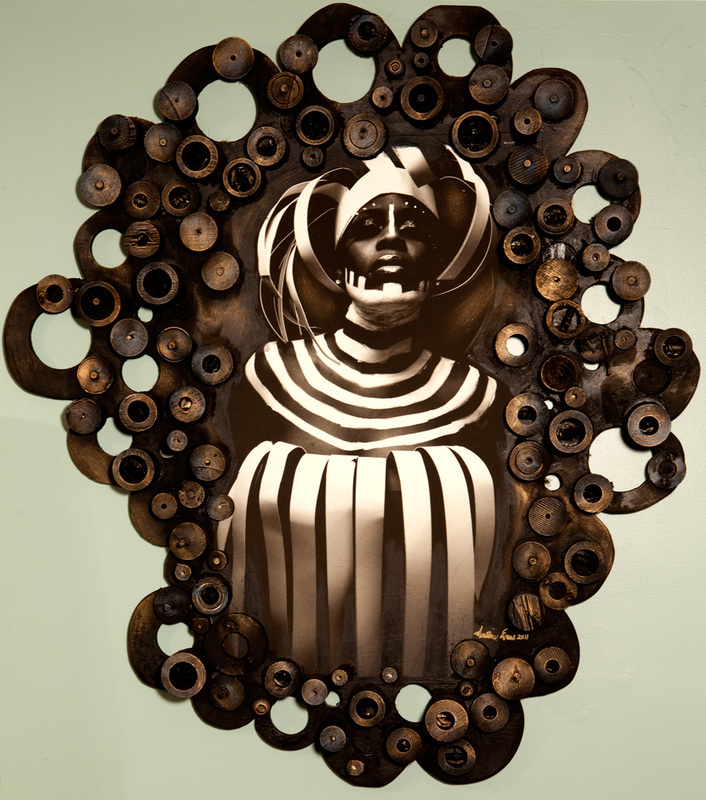 Today, Maurice Evan’s artistic creativity is expressed through a diverse mixture of art and photography. A walk through his gallery reveals an interpretation of ideas and imagery through a lens of bold colors, graceful images and abstract expressions. The vocabulary of his palette articulates unique expressions of music, culture, gender, and politics - all of which reﬂect his limitless potential. 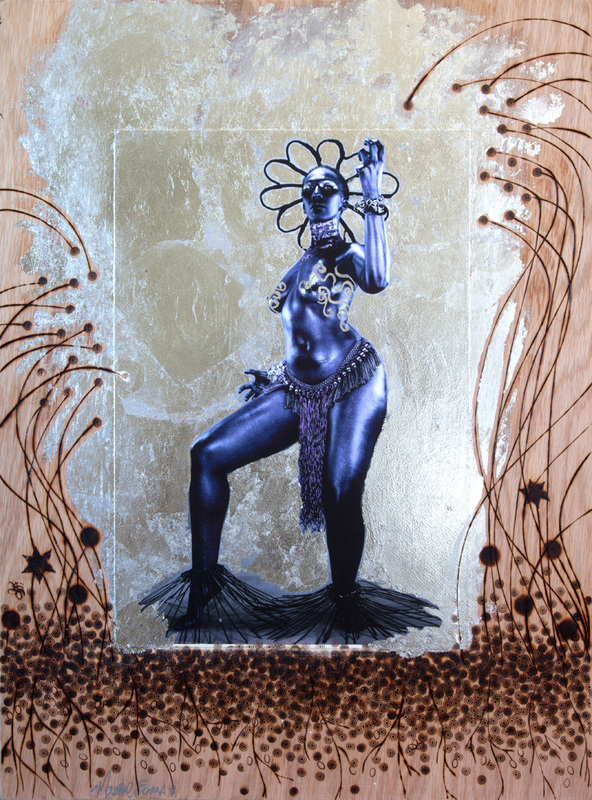 Maurice Evans resides in Atlanta, GA, never far from a sketch pad, and lives by the premise, “Create art for art’s sake,” inspiring viewers and artists alike to pursue their artistic and creative passion. The Nu Africans addresses the notion that africans of !the diaspora through their particular set of circumstances!have evolved into their own tribe. I call this tribe the “Nu Africans”. Inspired by the legendary warriors and queens from the african continent, each model was styled and photographed as a warrior and as a queen. Though!the inspiration takes its roots from the continent, these women, however, are from this time, this place,!and all the experiences that have brought them here. My intention with this project is to celebrate and honor these women. To highlight their obvious beauty, strength, and celebrate their ancestral light. After all, whole civilizations have been built on their backs, society’s refuse has been dumped at their door, and yet they remain standing. This project is a celebration of that fortitude.